Nothing says "expensive product" like a cheap nylon bag. Publishers, it seems, really will try anything to sell their latest game to as many people as possible. 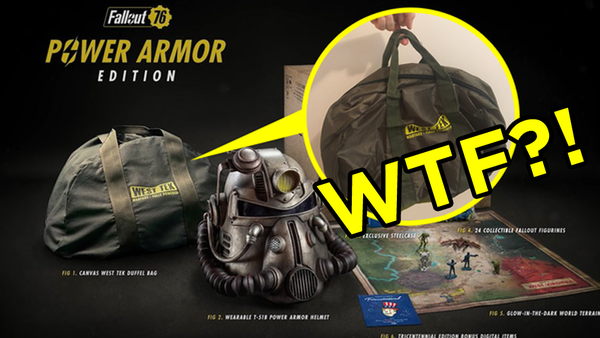 It can't be easy to market games in as saturated a market as we have today, but asking us to stump up extra cash for increasingly mad merchandise is a tactic that plenty decide is most effective. Over the years, special or limited collector's editions of games have cropped up promising all manner of bizarre "collectables" that we are assured are must-haves, only for said plastic tat or statues to be relegated to shelves increasingly filled with so much pointless gaming merch. That said, sometimes video games publishers and developers really do get things just plain wrong. Whether it's poor quality merchandise, missing items, damaged goods or just stuff that's entirely useless, video games have been released with some absolutely dreadful stuff. Here are some of the worst to have ever been released. Saint's Row's developers Volition are no strangers to ridiculous things, but they really were inviting trouble to their door when they announced the "Super Dangerous Wad Wad" edition of Saint's Row IV. There was only ever one copy of this particular special edition, but it's doubtful that anyone picked it up; after all, it would've you back a cool million dollars. Naturally, this was a PR stunt based entirely on parodying the ludicrous promises of some special editions, but the SDWW edition itself was entirely full of exciting trips and treats for anyone to feel they've truly taken to the role of President just as their player character would do in-game. That being said, the slew of flights, trips, shopping days and space-flight sounded exciting, but were actually worked out by quite a few sites to cost significantly less than the one million dollar asking price. 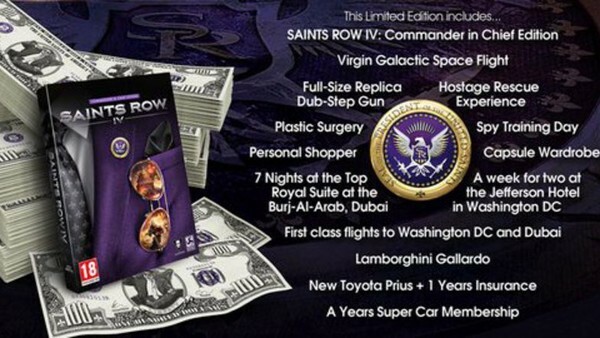 Estimates put it at about $650-700,000, so it would've been a little bit embarrassing for Deep Silver and Volition had anyone actually decided that they needed to get a Lamborghini with their Commander in Chief edition of Saints Row IV.